How do you use a covalent (molecular) name to create the covalent compound? Now that we have taken the covalent chemical compound and produced the chemical name (as we did in the previous section) we should try the other direction. That is taking the chemical name and producing the chemical compound. 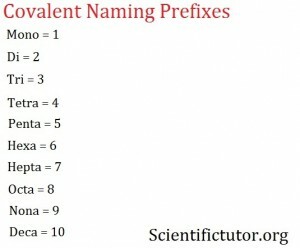 Remember to use the covalent prefixes from the picture below. Examples: Give the chemical formula from the name using a regular periodic table and the covalent prefixes. VIDEO Covalent Naming Examples 2. 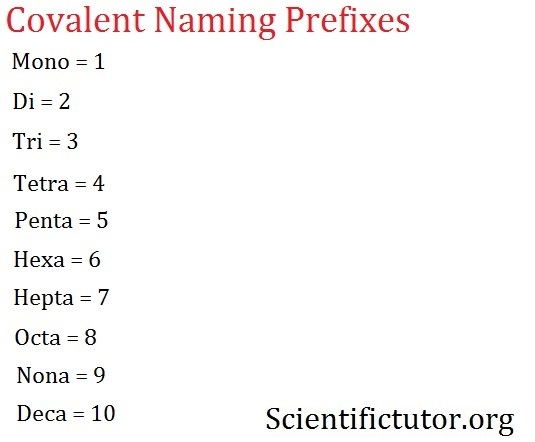 VIDEO Covalent (Molecular) Naming Demonstrated Example 2: Give the chemical formula from the name using a regular periodic table and the covalent prefixes. What does the prefix “penta” mean? What is the symbol for phosphorus? How much phosphorus do you have? What element does bromide refer to? How much bromine do you have? 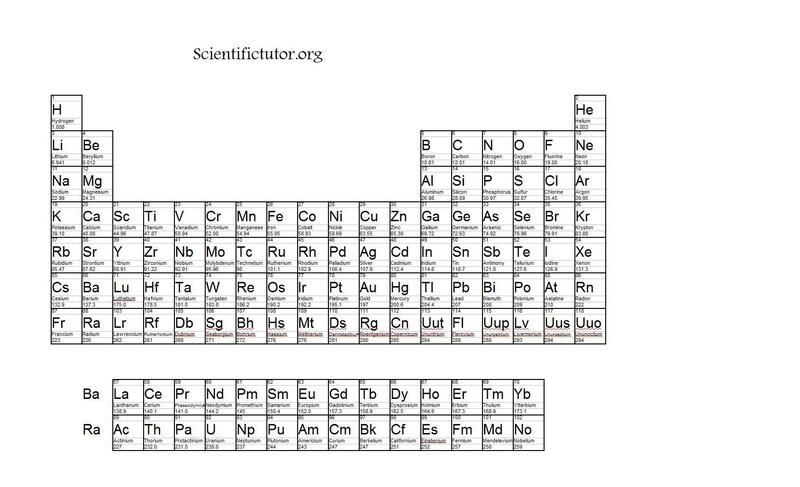 PRACTICE PROBLEMS: Give the chemical formula from the name using a regular periodic table and the covalent prefixes.